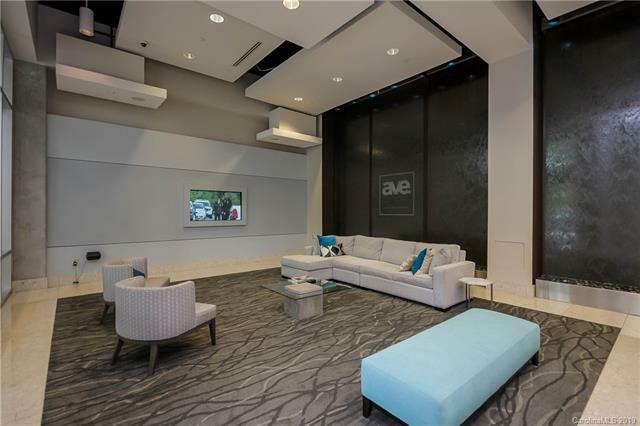 High-Rise Condo living in the heart of Charlotte. Unit is located on the 33rd floor with amazing views. 1 bedroom unit features tile floors throughout, custom drawers in bedroom closet, marble on the walls with mosaic tile inlays, copper moldings, tiled back-splash and SS appliances. No exposed concrete ceilings! Building amenities incl 24 fr concierge, swimming pool, state of the art fitness center, chic lobby, billiards, movie theater room. Owner will consider selling fully furnished, move in ready!